Het zijn slechts enkele voorbeelden van geweld in de westelijke Balkan, en de repressie van de mediavrijheid – en burgerlijke vrijheden – die de wens van Servië en Montenegro ondermijnt om toe te treden tot de Europese Unie. Het is geen verrassing dat Servië 10 plaatsen gedaald is naar een 76ste plaats op de Persvrijheidsindex van Reporters without Borders. “Servië is een land geworden waar je als journalist niet veilig bent”, licht de organisatie toe. De buren doen het niet veel beter. Albanië staat op de 75ste plaats, Kosovo op 78 en Montenegro op 103. Bank Leumi was the first to admit to wrongdoing and reached a deferred prosecution agreement with the DOJ in 2014 that eventually resulted in the bank paying $400 million in fines to the U.S. The Media Navigator classifies more than 60 news outlets based on their political stance and their relationship to power. In many cases, the latter is more relevant. The Media Navigator was developed based on an in-depth analysis of news coverage, commentary, media ownership and financing. There is also a European edition. The program is due to be fully operational nationwide by 2020, but is being piloted for millions of people across the country already. No. That’s not what happened at all. 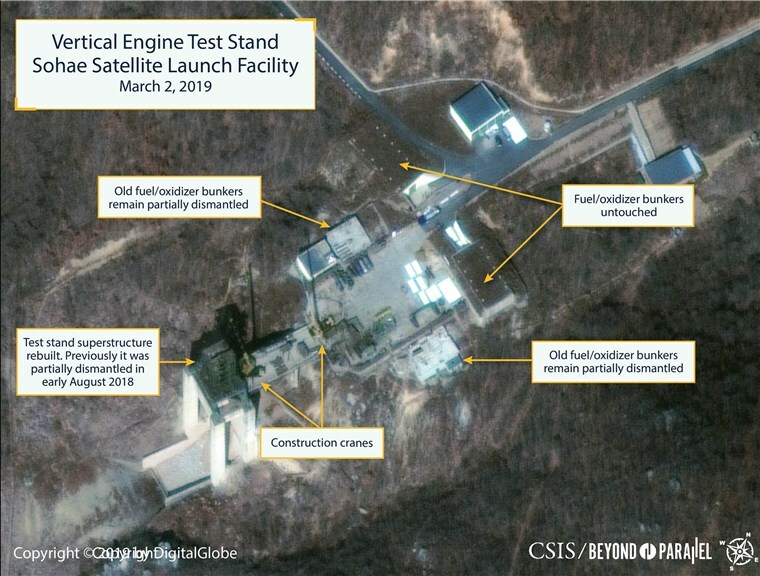 Kim Jong un made a serious offer to permanently halt all long-range rocket and nuclear tests and to “completely dismantle all the nuclear production facilities” at Yongbyon (the DPRK’s primary nuclear enrichment facility) in exchange for the partial lifting of sanctions that targeted North Korean civilians. Kim did not present his offer as an ironclad demand from which he was unwilling to budge, but as a starting point for discussions just as one would expect during negotiations. But the Trump team never seriously considered Kim’s offer, instead–at the advice of neocon warlord, John Bolton — the Trump delegation surprised Kim with a take-it-or-leave-it ultimatum that included the “elimination of the DPRK’s “chemical and biological weapons, “their ballistic missile program” along with complete denuclearization. Bolton said that no sanctions would be lifted until this comprehensive disarmament plan was implemented and verified by Washington’s weapons inspectors. These unrelated demands were not part of previous discussions nor were they contained in the earlier agreements in Singapore. They were concocted with the clear intention of sabotaging the summit and ensuring that no agreement between the sides would be reached. 2–Has the Trump administration honored the agreement it made at the Singapore Summit? The Globe and Mail has quoted Irwin Cotler in two recent articles on Venezuela. Home » Aktuell » Me, Myself and Media 49 – Nächster Halt: Selber denken! Da die Eliten, die sich als Besitzer der Herde verstehen, nicht auf alle Schafe persönlich aufpassen können, setzen sie Schäfer und Schäferhunde ein. Diese werden in unzähligen Förderprogrammen auf ihre zukünftige „Führungsrolle“ vorbereitet. Generell gilt: Wer vor den Eliten buckelt, sich einer entsprechenden Gehirnwäsche unterzieht, wer im Anschluss auch das selbstständige Denken der restlichen Menschen unterbindet und bekämpft, der kann im gesamten „Kommunikations-Sektor“ mit einer steilen Karriere rechnen, in etwa als Alpha-Journalist, Regierungssprecher oder „geförderter“ Wissenschaftler. «WEF knausert bei Kosten für Sicherheit» titelten am letzten Sonntag die «Ostschweiz am Sonntag», die «Zentralschweiz am Sonntag» und die «Aargauer Zeitung online». Und am Montag erschien der Artikel auch in der Printausgabe der «Aargauer Zeitung» und weiteren Kopfblättern der AZ Nordwestschweiz. Alle diese Zeitungen sind Teil des neuen «CH Media»-Joint Venture von NZZ-Mediengruppe und AZ Medien. I hate television “experts”, the infamous “analysts” who know all – and support all – about the military, the televisual ex-generals with vain presidential ambitions and the infamous American “think tank” personnel whose right-wing, pro-Israeli beliefs are carefully shielded from viewers by the US networks who employ them. I always characterise the antiseptic and pseudo-academic institutions to which they belong as the “Institute for Preposterous Affairs”. The Fisk “IPA” contains hundreds of robotic folk who will churn out claptrap about “key players”, “stakeholders” and “moderate allies” and, of course, “world terror”. They turn up on CNN, Fox and Russia Today. And, of course, the BBC. But William Arkin was always a bit different. This ex-US marine intelligence author of ground-breaking work on secret CIA “black sites” and equally secret US weapons dumps (nuclear and non-nuclear) has a respectful audience at both Harvard and Maxwell US Air Force Base. And when he quits, I take notice. Here’s a guy the Reagan administration wanted to send to prison for revealing the location of US and Soviet nuclear weapons, and who – in his own words – “had to fight editors who couldn’t believe that there would be a war in Iraq”. He’s just resigned his job as a talking head. Goodbye NBC News. That’s what I call a real story. And here’s what Arkin told his colleagues about the American military when he left NBC last week. “There is not a soul in Washington,” he wrote to them, “who can say that they have won or stopped any conflict. And though there might be the beloved perfumed princes in the form of the [David] Petraeuses and Wes Clarks, or the so-called warrior monks like James Mattis and HR McMaster, we’ve had more than a generation of national security leaders who have sadly and fraudulently done little of consequence. Corporate media have converged around a narrative that the president has been forced to walk back his decision. But while a withdrawal will undoubtedly prove more challenging than the president originally anticipated, this verdict simply does not reflect the facts on the ground. The Times and AP failed to provide the actual text of Bolton’s statement, much less any analysis of it in context of his statements. Ever since the beginning of the Iranian Islamic Revolution, the United States has been leading a propaganda campaign against Iran, minimizing own harmful role in key historical events, justifying an ousted monarchist regime, and demonizing the new political system. Frequently it is done in lighter forms, for example by claiming that new government is far from perfect or even the same as a previous one, but the methods can sometimes be so radical that the characteristics of the two systems are completely inverted. While the Reuters claims Iran is active in spreading disinformation online, the history of the agency’s reports about Iran shows the opposite. The latest of such reports is a false report about Iran’s missile program. The falsehood of the article has been dissected here. The case which I have dissected is a 2013 article authored by Steve Stecklow, Babak Dehghanpisheh, and Yeganeh Torbati. The article represents a perfect example of such radicalism and disinformation reporting about Iran. The Reuters report has been cited by at least four books published one after another, the most recently in 2018. The books are “Iran’s Political Economy since the Revolution” by Suzanne Maloney (2015); “Democracy in Iran: Why It Failed and How It Might Succeed”by Misagh Parsa (2016); “Challenging Theocracy: Ancient Lessons for Global Politics” by David Tabachnick, Toivo Koivukoski, and Herminio Meireles Teixeira (2018); and “Losing Legitimacy: The End of Khomeini’s Charismatic Shadow and Regional Security” by Clifton W. Sherrill (2018). China and Pakistan have longstanding military ties. Als der STERN 1983 die Hitler-Tagebücher veröffentlichte, glaubte man in Hamburg an eine Weltsensation. Wochen später erwies sich dieser Jahrhundertfund als plumpe Fälschung, von dem sich der STERN bis heute nicht wieder erholt hat. Die Glaubwürdigkeit war zerstört. Ähnlich könnte es jetzt dem ehemaligen Nachrichtenmagazin DER SPIEGEL gehen. Über Jahre hatte man Claas Relotius unter Vertrag und brüstete sich mit dem Talent dieses Star-Reporters. Relotius wurde vor allem für seine SPIEGEL-Geschichten mit Journalistenpreisen überhäuft. Jetzt stellt sich heraus, der Mann war ein Hochstapler, vergleichbar mit dem Fälscher der Hitler-Tagebücher. Relotius war weniger Reporter, er war mehr Märchenonkel. Seine Enthüllungsgeschichten waren entweder komplett erfunden oder massiv ausgeschmückt. Dass sie dennoch über Jahre ungehindert immer wieder im SPIEGEL, aber auch der WELT, der TAZ etc., als exklusive Enthüllungsgeschichten abgedruckt wurden, hatte einen simplen Grund. Sie passten ins geforderte Narrativ. Sie passten in die jeweilig geforderte Agenda. Der SPIEGEL versucht jetzt alles, um Relotius zu einem Einzelfall herunterzuspielen, aber das zeigt, wie mies es um die Branche in wirklich steht. Spätestens seit dem 11. September 2001 laufen den Konzern-Medien die Kunden weg. Sie spüren, dass man sie chronisch belügt, indem man die offenkundigen Fragen nicht stellt. Die Massenmedien sind nicht zu Gate-Keepern und Ausspielkanälen der Herrschenden verkommen, sie waren es immer. Mit dem Internet haben sich nur die Spielregeln geändert. Es gibt jetzt ein Datenleck, eine Gegenöffentlichkeit und die macht jede Form des Durchregierens immer unmöglicher. Der Staat hat sein Meinungsmonopol verloren, was erklärt, dass es zu jedem Beschluss immer massiveren Widerstand aus der Bevölkerung gibt. Die Bürger wissen zu viel und Wissen ist Macht, da sie Ohnmacht enttarnt. In der aktuellen Ausgabe von MMM geht es natürlich um die relevanten Themen der letzten Wochen. Migrationspakt und Gelbwesten spielen selbstverständlich eine Rolle. Im Kern aber geht es darum, nachhaltig zu vermitteln, dass die Medien die Realität nicht beschreiben, sondern diese erst erschaffen. Wir alle leben und beziehen uns auf eine Medien-Realität. Ein unnatürlicher Kunst-Stoff. Wer sich heute einer Nachrichtensendung aussetzt, tut gut daran, eine Haltung einzunehmen, die der eines Kinobesuchers vergleichbar ist. “I’ve never known such a grotesque absurdity as the elevation of Russia and China and the perceived enemies to the kind of Cold War status they had when I was a child,” he said. A particularly scurrilous op-ed appeared in the pages of the Washington Post accusing the Syrian government of detaining, torturing, then executing an American citizen, Layla Shweikani. Het bruto nationaal product van Rusland is ongeveer gelijk aan dat van Duitsland. Rusland produceert met 144 miljoen inwoners dus slechts zoveel als Duitsland met 82 miljoen. Rusland heeft een verouderd industrieel apparaat, een enorm groot en dun bevolkt achterland met duizenden kilometers grenzen. In 2008 heeft president Poetin op een internationale conferentie met de NAVO-lidstaten gewaarschuwd dat hij een tweede Oranje-revolutie in zijn buurland niet zou dulden en dat er geen sprake van is dat Rusland zijn zeemachtbasis in de Krim ooit zou opgeven. Since the question of de-platforming has popped up, some conservatives have proposed state-based solutions to solve this problem. In a role reversal, conservative commentator Ann Coulter suggested that the governmentpass anti-discrimination laws to prevent social media platforms from de-platforming conservatives. Ideological consistency is a lot to ask for from seasoned veterans of Conservative Inc these days.